SANAA, Yemen (AP) — Fighting between Saudi-led coalition forces and Yemen’s Shiite rebels flared up again around the Red Sea port city of Hodeida despite U.N. calls for a cease-fire, Yemeni officials and witnesses said Tuesday. The escalation, which followed a lull that had been in place since earlier this month, began late on Monday with coalition airstrikes hitting the rebels, known as Houthis, in and around Hodeida. The renewed fighting undermines the latest U.N. efforts to end the three-year war. 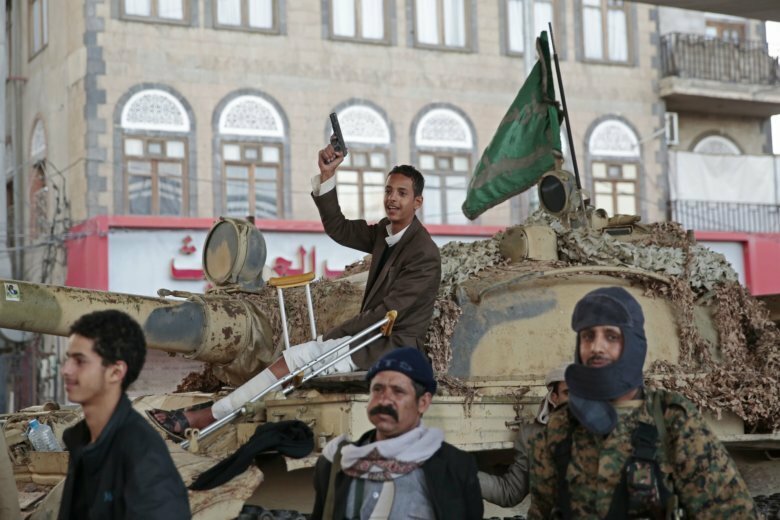 The U.S.-backed, Saudi-led coalition has been battling the rebels since March 2015 to restore Yemen’s internationally recognized government to power. The conflict has killed tens of thousands of people and pushed much of the country to the brink of starvation. Aid group Save the Children said it believes that 85,000 children under age 5 may have died of severe acute malnutrition since Yemen’s civil war began in earnest with the Saudi-led intervention. “For every child killed by bombs and bullets, dozens are starving to death and it’s entirely preventable,” Tamer Kirolos of the group said in a statement. “Children who die in this way suffer immensely as their vital organ functions slow down and eventually stop. In Hodeida, fighting was also underway Tuesday in the main Khamsin Street in the city center and in al-Saleh district, officials and witnesses told The Associated Press. The officials spoke on condition of anonymity because they were not authorized to talk to reporters; the witnesses did so for fear for their safety. Yemen’s Information Minister Moammer al-Iryani said the Houthis shelled the city center and neighborhoods held by government forces. Meanwhile, the rebel-run Al Masirah TV said the rebels attacked government forces on a main road linking the capital, Sanaa, and Hodeida. Government forces had captured the road in September. Earlier, the rebels said they’d fired a ballistic missile the previous night into Saudi Arabia in response to an attempted border incursion and another airstrike, and that they reserved the right to respond to attacks. The missile came hours after the rebels said they would halt all rocket fire into Saudi Arabia for the sake of peace efforts. The coalition has been attempting to retake Hodeida from the rebels since last summer, with its forces now 5 kilometers (3 miles) from the port, Yemen’s traditional lifeline. Also Tuesday, Saudi Arabia and the United Arab Emirates pledged $500 million in aid to assist millions of Yemenis at risk of starvation. Abdullah al-Rabeeah of King Salman’s Humanitarian Aid and Relief Center told reporters in the Saudi capital, Riyadh, that the new initiative aims to provide food assistance to some 12 million Yemenis. Martin Griffiths, the U.N. envoy, announced on Friday that both sides had agreed to attend peace talks in Sweden “soon.” Yemeni officials had said the next round of talks would take place on Nov. 29. A U.N. draft resolution circulated by Britain on Monday urges the warring parties to relaunch peace talks and take urgent steps to address the humanitarian crisis. It also calls for an immediate cease-fire around Hodeida. The Trump administration late in October called for an urgent halt to the war and negotiations aimed at a political settlement. Magdy reported from Cairo. Associated Press writer Aya Batrawy in Dubai, United Arab Emirates, contributed to this report.